Is your pet itching and scratching? Has your pet been diagnosed with cancer or an autoimmune disease? Learn how you can help your pet using natural holistic pet care. Inperson pet nutrition consultations available Thursday January 30th at VCA Mission Mission Viejo. 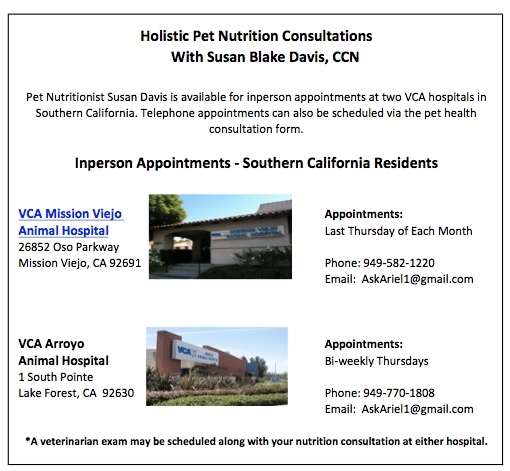 Please call the hospital directly at 949-582-1220 to schedule an appointment with Susan Blake Davis, Pet Nutritionist.